We have a fun new feature starting this month called Hits & Highlights. Each month we are going to highlight some of our favourite products. This month we are featuring out fabulous Shaker Pouches! We currently have Circle, Square, Rectangle, Balloon, Heart, and Star Shaker Pouches. 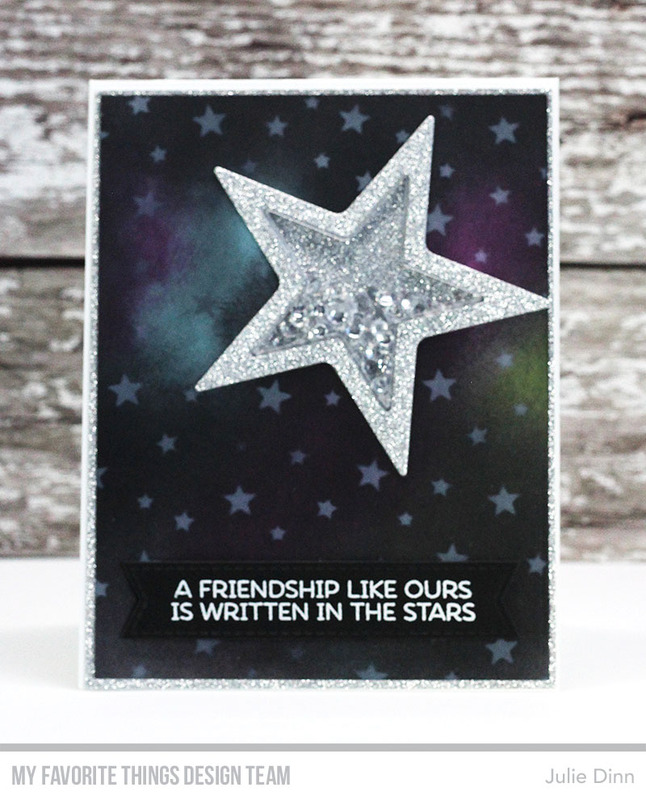 For my card today I used the Star Shaker Pouches and the Star Shaker Window & Frame Die-namics. It is just so quick and easy to put together a shaker card with these products. I created a galaxy background with a few of my favourite Distress Inks. I used the Star Celebration Stencil and Sweet Tooth Ink to add the small stars. So pretty!! Love the star!